India Jones serves authentic recipes from Burma, Vietnam, Singapore, Hong Kong, Malaysia, Indonesia and Japan. 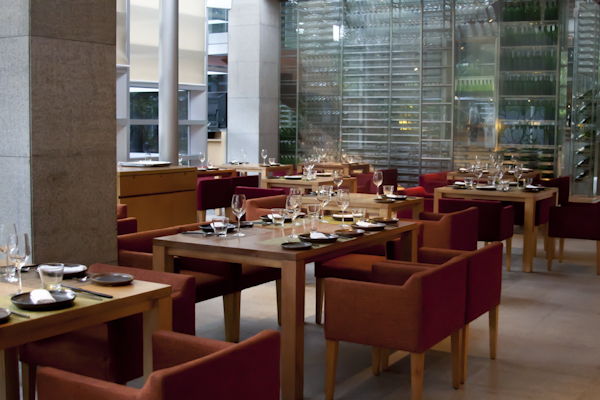 Amongst its many accolades, the restaurant has recently been included in the prestigious Miele Guide 2013 – Asia’s first authoritative and independent guide to the region’s finest restaurants. A Teppenyaki meal here with chef John Mark at the helm, is a culinary delight and a regaling performance that you are sure to enjoy. NOTE : India Jones is only offering a set course meal paired with wines, for 30% off on wines please visit Opium Den at the same hotel. 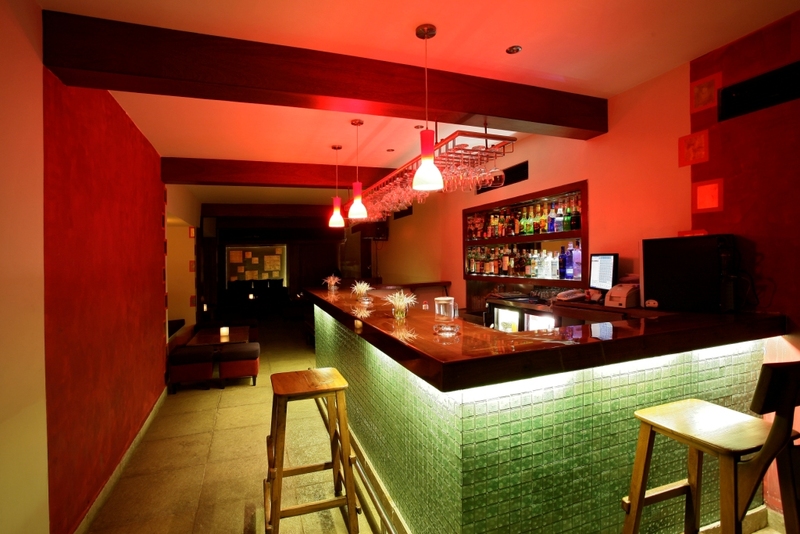 Address: India Jones, Trident Nariman Point, Mumbai – 400021. Vetro presents the best of authentic Italian cuisine. 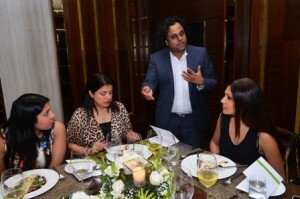 The menu at Vetro focuses on light and delicate food for corporate guests and also provides the perfect setting for social afternoons. Guests can choose from a wide selection of Italian classics, hearty soups, home-made pastas, risottos, seafood and meats. NOTE : Vetro is only offering a set course meal paired with wines, for 30% off on wines please visit Opium Den at the same hotel. Set in an ambience of muted lighting, soft music and intimate seating, Out of the Blue offers a sheer delight with an authentic menu carved with creative twists. Famous for Gourmet Sizzlers, Trademark Fondues, BBQ’s, Pastas and Risotto’s, the restaurant servers food with a flavor of fun, entertainment & unforgettable memories. If you are looking to treat your taste buds like never before the team at Out of the Blue simply awaits your presence, in order to be able to offer a memorable meal experience. 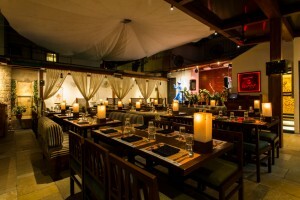 Khar : 14, Union Park, Khar West, Off Carter Road, Mumbai – 400052. Specialising in authentic wood-fired oven Napolitano gourmet flat breads and eastern and western Mediterranean inspired Mezzes, Modern European Mains that include classics such as a Spaghetti Vongole and Confit Duck Leg the menu will be seasonal, local and organic where possible and certified, endeavouring to incorporate the farm to table concept. 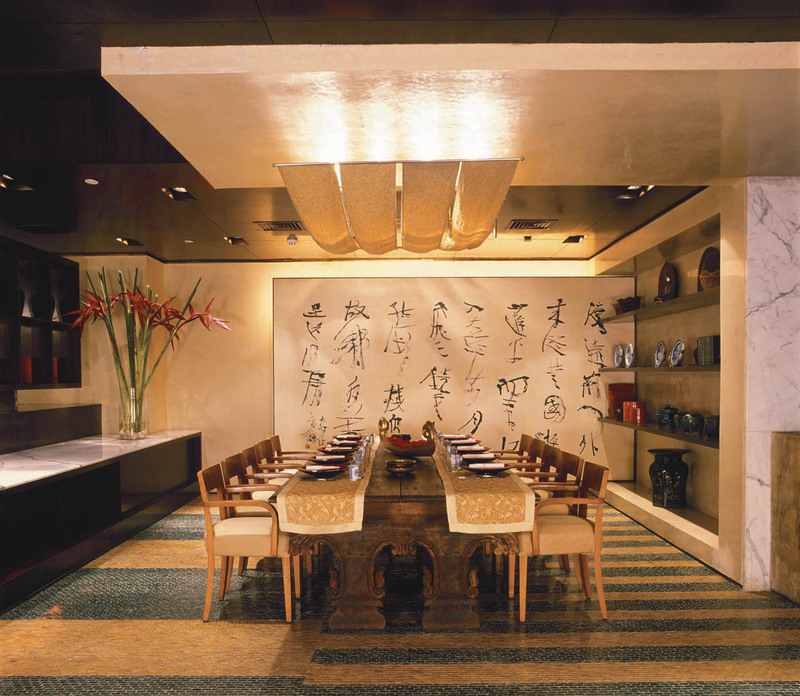 San-Qi (the three energies) pulsates with the spirit of new Asia, offering an energetic dining experience in Mumbai that takes guests on an eclectic culinary adventure through some of the most popular cuisines of the East – Japanese, Chinese, Thai and Indian. Sleek and contemporary, with accents of glass and natural woods, this food theatre/restaurant features the best of Asian dining, accompanied by a hip wine bar. 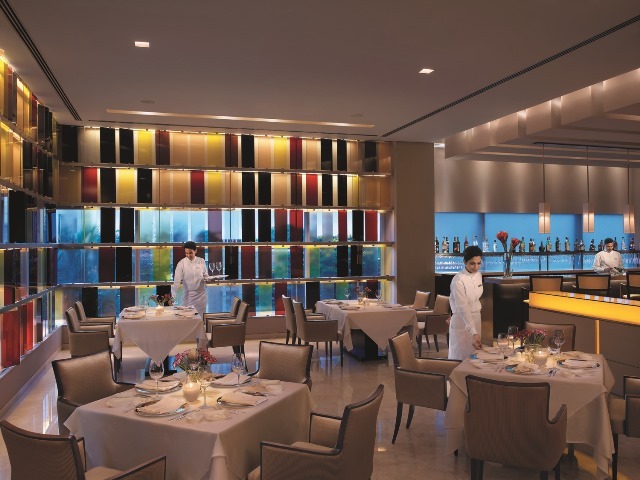 Café Prato & Bar brings the flavours of Italian, Mediterranean and Indian cuisine to the lobby level of Four Seasons Hotel Mumbai. 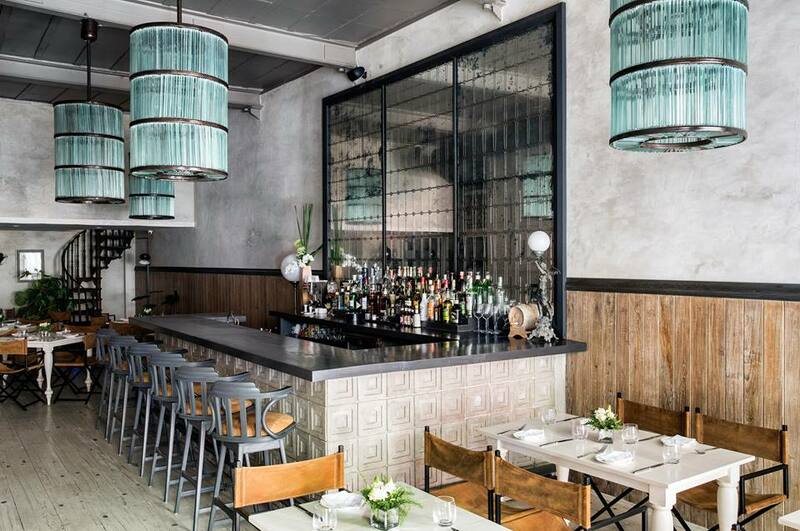 High ceilings and floor-to-ceiling windows on two sides of the restaurant flood the interior with light, creating a bright, comfortable setting for business meetings and social occasions. 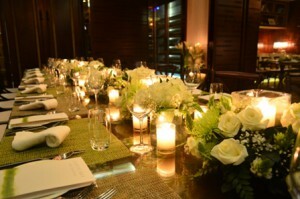 In the evening, candles and lanterns transform café PRATO & Bar, creating a warm atmosphere for enjoying a casual dinner. Busaba Restaurant and Lounge Bar- One of the first South-East Asian stand-alone restaurants and lounge bars India has seen. Busaba has an intimate relationship with South-East Asian authenticity. Busaba’s creative appeal carves a niche of Asian cuisine stacked with excellent chefs from Vietnam, Thailand, Korea and Burma coupled with a chilled out lounge. In the running for 13 years, Busaba still remains a popular Restau-Bar catering to an eclectic clientele and special occassions such as birthdays, first dates and holidays. 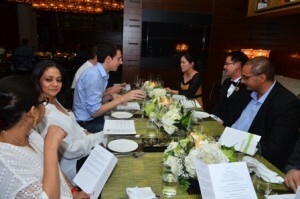 Busaba continues to hold a name in Bombay for a special dining experience. 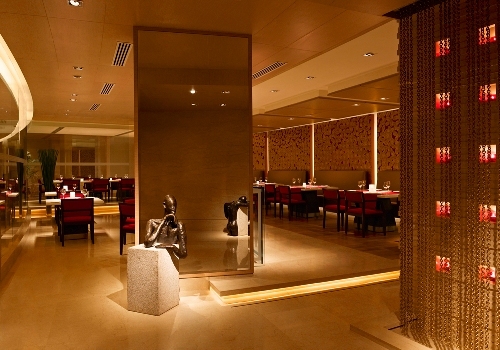 Maya, the Indian specialty restaurant, presents regional Indian cuisine with a distinctive touch. The carefully planned menu offers a culinary journey through the Indian subcontinent including delicacies from regions spanning Bengal to Rajasthan and Karnataka to Kashmir. 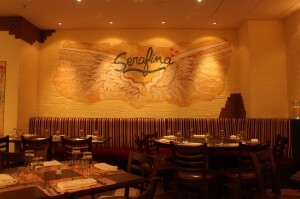 Serafina specializes in Northern Italian cuisine fused with its signature energetic atmosphere. The restaurant serves over 24 pizza varieties ranging from the classics to the very sophisticated, featuring rare ingredients, such as Tartufo Nero. All pizzas are made with 00 flour, extra virgin olive oil & sea salt in a traditional woodstone pizza oven that has been master-crafted in America especially for the Mumbai location and is a standout feature in the restaurant. Serafina delights diners with a creative twist on simple, original Italian dishes. 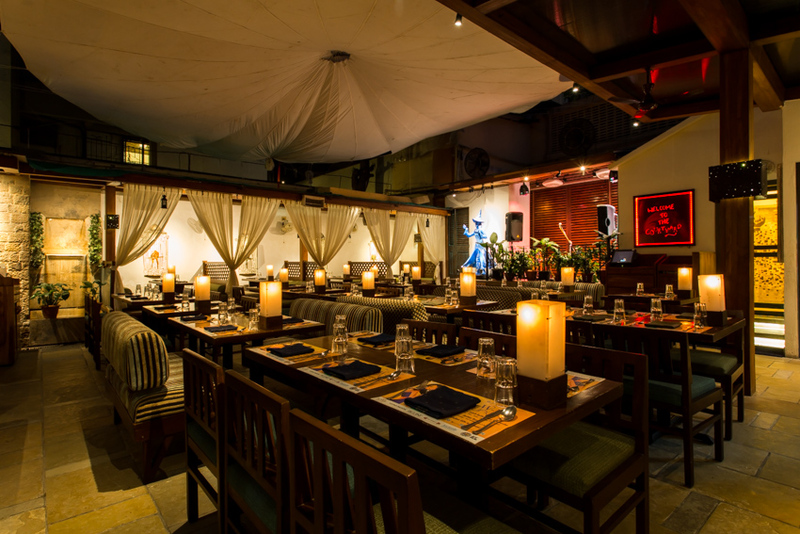 It caters to the gourmands of the city who like to tuck into authentic cuisines & delight their taste buds.